Out with the old, in with the brew! 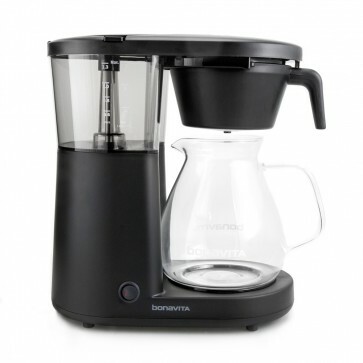 The Bonavita Metropolitan improves on Bonavita's classic coffee maker design—at a more affordable price. Built to the same exacting specs of Bonavita's SCAA-rated brewer—198° to 204° brew temperature, a full-size grounds basket, and brew time under 8 minutes—the Metropolitan adds rails for the brew basket and a one-piece case for a more streamlined user experience. 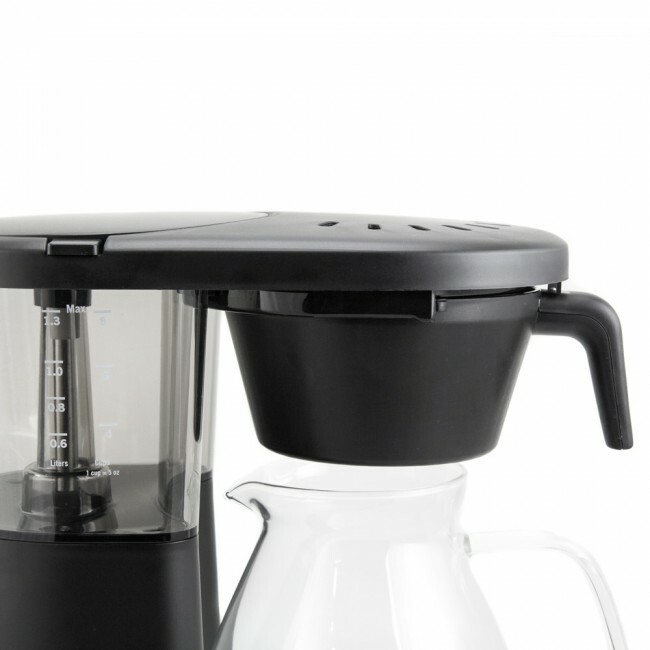 Available in glass carafe versions only, the Metropolitan also sports a calibrated hot plate with a 40-minute timer and an optional pre-infusion mode before brewing. Just Right Heat - Our (admittedly basic) temperature tests put the Metropolitan right at an ideal 199° at the spray arm. On-rails Basket - The flat bottom brew basket now slides on rails built into the brewer. Glass Carafe - The Metropolitan includes a glass carafe for those sensitive to stainless steel flavors. (Not Too) Hot Plate - A calibrated hot plate keeps coffee at a not-too-hot 185° for 40 minutes before shutting off. Optional Pre-infusion - Just like most Bonavita brewers, press-and-hold the toggle to activate a 15 second bloom at the start of your brew cycle. Spray Arm - The spray arm offers wide coverage over the brew basket, and is easy to level out for even flow. Clean Case - While the all-plastic case was undoubtedly a choice to reduce price, the Metropolitan actually looks a lot sleeker next to the mixed-medium case of the regular Bonavita. Basket Rails! - We've only been asking forever. Now the basket stays with the brewer. Glass Carafe - If you're sensitive to stainless steel flavors from regular carafes, the glass carafe is a nice choice (its easier to clean too!). No Frills - At its heart, the Metropolitan is still a very basic design. 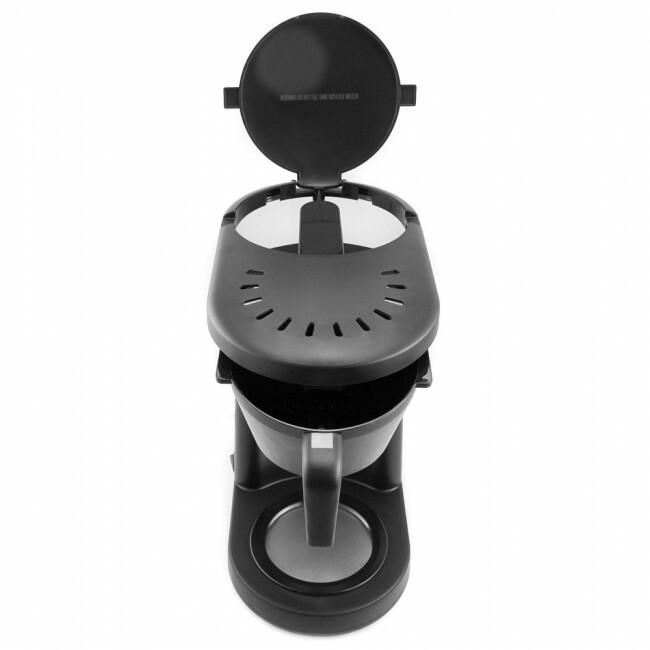 No timer or temp programming, no auto drip stop and no built-in water filters or descale warning lights. Lazy pour over lovers rejoice! The Metropolitan's 9.5-inch clearance (from hot plate to spray arm) is tall enough to accommodate a 10-Cup Chemex. Clean carafe after every use. Use filtered water, or descale brewer every 2-3 months depending on usage. Wipe down hot plate and case with a soft rag as needed.